Bush Road Medical Centre offers Free GP consultations to our enrolled children under 14 years of age from the date of their enrolment. Occasionally, charges may be incurred for procedures or special consultations. Charges for older children are available from reception and are displayed on the notice board in the Waiting Room. 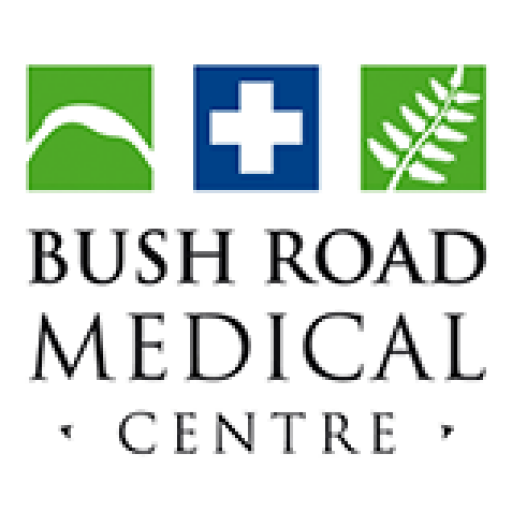 Bush Road Medical Centre will see urgent medical conditions or injuries immediately, so phone or call in for assistance. It may mean that you do not see your usual doctor. The doctor or nurse seeing you will have your notes and medical history available to provide you with the best continuing care. Please check with our receptionist when you are booking your appointment. There will be an additional charge for an extended consultation or a double appointment. 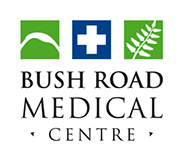 Our nurses are highly qualified and critical to the Bush Road Medical Centre team. You can book to see our nurses for a variety of appointments. If you have an injury you can come in and see us for any ACC consultations. We are able to stitch wounds and apply dressings. If you have visited and Hospital or an Accident and Medical Clinic when you first injured yourself – please bring your ACC details as we will need these. Each accident you have is assigned a new ACC number – it is this number we need. When you phone Bush Road Medical Centre After Hours or when we are closed the phone will be answered by a Registered Nurse. This nurse will provide advice and reassurance to you and give you information about after hours care if it is required. Free pregnancy testing is available from our nurses and medical care assistants. Caring for yourself in pregnancy is one of the most important things you can do to give your child the best start in life. At Bush Road Medical Centre our female and male GPs provide early pregnancy care for you and your family. This screening should occur as early as possible in your pregnancy – preferably within the first 12 weeks. For those women with HIV, early testing in pregnancy can ensure that appropriate treatment reduces the risk of baby contracting HIV from 30% down to less than 1%. HIV testing can result in occasional false positive tests – approximately one in one thousand women may have a false positive result and have to have the test repeated. Folic acid is also an important medicine before conception and in early pregnancy. Our doctors can prescribe this for you. Once baby is born Bush Road Medical Centre doctors will perform your baby’s 6 weeks old Well Child Check when you come in for their 6 week immunisation. BRMC provides youth friendly services – ensuring that we provide a confidential, non-discriminatory, non-judgmental service that is respectful of the rights of the adolescent. These services are also always balanced with the approach of doing no harm. Appointments are necessary for all immunisations. Remember that you have to wait for 20 minutes after any vaccination. Children are immunised throughout childhood according to the National Immunisation Schedule. 6 weeks – this requires an appointment with your doctor for your baby’s 6 week check and with your nurse afterwards for the immunisation. All Childhood Immunisations are available. Please bring your child’s Well Child Book, so that the immunisation can be recorded. This record is required for entry to school in New Zealand at 5 years. Most medicals require a double appointment with the doctor – therefore different Fees apply. Bush Road Medical Centre tries to keep the Fees for Driving Medical as affordable as possible for our Over 65 year Patients. Please book a single appointment with the doctor and the nurse. Please allow a double appointment. From July 1st 2015 Bush Road Medical Centre does not perform Immigration e-Medicals. We are interested in providing medical care to new immigrants into New Zealand if you wish to enroll. Please bring your passport and all documentation when you enroll with us. Please allow a single appointment with the doctor and the nurse. Please allow a double appointment with the doctor and a double appointment with the nurse. Appointments are necessary for all immunisations. Please be aware – after ALL immunisations you are required to wait for 20 minutes on the premises in case of any adverse reactions. All Childhood Immunisations are available. These are given on all week days, from 9am till midday and from 2pm till 4pm. Please bring your child’s Well Child Book so that the immunisation can be recorded. This record is required for entry to school in New Zealand at 5 years old. Tetanus Vaccine is available for patients with a penetrating wound who have not had a tetanus injection for over 5 years. Bush Road Medical Centre also recommends a Tetanus vaccination at 45 years and 65 years of age. In the autumn of each year usually from March to July we run the Flu vaccine campaign. The Flu Vaccine is free to people aged 65 years and over. Special rates can be offered for groups and adults e.g. for a work place. So let us know by asking at reception. Before you go traveling check out the risks to you and your family and discuss your travel plans with our team or your doctor. All the necessary supplies and vaccines are ordered and paid for in advance. It is important to plan well ahead so that injections can be done prior to your travel. If you have a long term condition – we advise that you carry a doctor’s letter stating your long term conditions and medications. Always remember to take out travel insurance in case you become unwell or have an accident while travelling overseas. If there are other services you need – please enquire at reception. If we are unable to help you, we can refer you for further assistance. From time to time you may have forms/paperwork that need filling in. For some of these you will be required to see the Doctor. For others the doctor will fill the form in without seeing you. Please give us the form as soon as you receive it, so that we can provide a timely service (plan ahead). You should expect to leave the form with us for several days. There is a $15.00 charge for this service. When doctors is unable to complete a referral(s) to specialists within the consultation time, or where you request referral to a specialist or specialists, Bush Road Medical Centre reserves the right to charge a Referral Fee for each of these referrals. There is a $15.00 Fee for each referral for this service.